Today’s Network Break examines Cisco’s new SaaS version of Tetration, attacks against Cisco’s Smart Install switch feature, HPE’s latest acquisition and more tech news. Today’s Network Break examines Microsoft’s and HPE’s excitement about edge computing, Intel’s sale of Wind River, the boom in HCI sales, and more tech news. 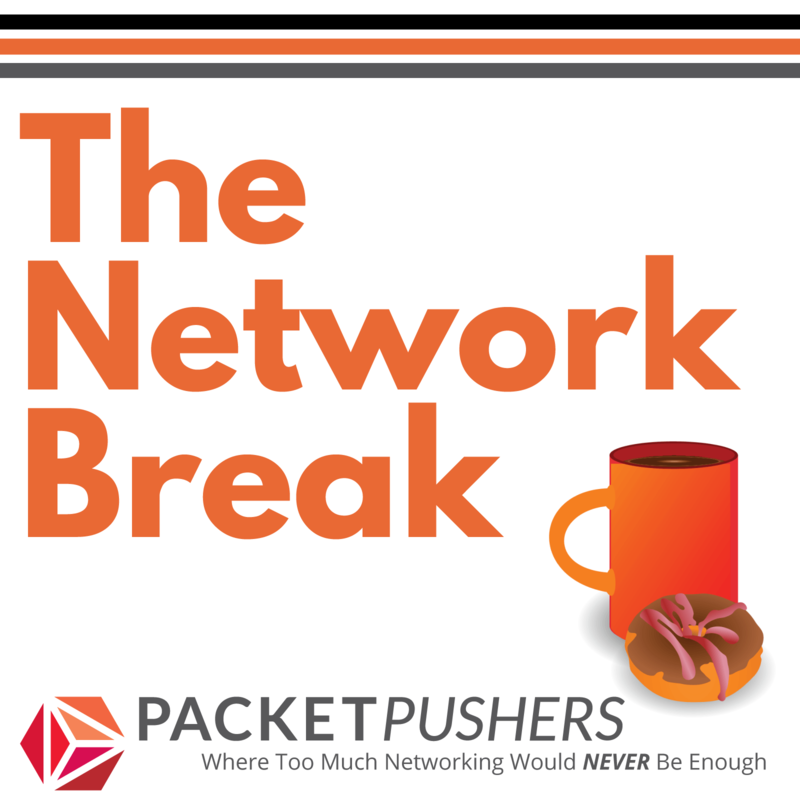 Today’s Network Break dives into Cisco disaggregation news, ATT whitebox strategy, new hardware from Arista, the further progression of open networking and other tech news. Today’s Network Break covers new branch hardware from Dell, Sonic’s turn in the open networking spotlight, a programmable ASIC from Innovium & the latest security news. Cisco positions Tetration for workload protection, GitHub weathers a massive DDoS storm, Canada cans IBM and more tech news on this week’s Network Break. Today’s Network Break examines the lawsuit tsunami swamping Intel, new security disclosure guidance from the SEC, an Oracle security acquisition & more tech news. Our guest is Ed Horley. Today’s Network Break dives into new enterprise products from Juniper, financial results from Cisco & Arista, a new cyber-insurance scheme from Apple and Cisco, and more tech news. Today’s Network Break dives into Cisco security patches and discusses new products from Talari, ExtraHop & Apstra, plus more tech news. The Network Break analyzes Broadcom open-sourcing its SDK, Cisco announces a container platform & other new products, Dell considers an IPO & more. Eyvonne Sharp is our guest. Today on the Network Break we examine Cisco’s latest acquisition, discuss rumors of a Dell IPO, look at Juniper’s revamp of OpenContrail and more tech news. Take a Network Break! This week we discuss Oracle’s mass release of critical patches, the ongoing fallout from Spectre and Meltdown, why vendor security notices trigger browser privacy plug-ins & more tech news. Listen to this week Network Break as we examine the Meltdown and Spectre vulnerabilities, Oracle CEO Mark Hurd’s remarks about the disruption of traditional IT & more tech news. Take a Network Break! This week we examine Cisco’s latest cloud acquisition, discuss Juniper’s forthcoming automation bots & dive into more tech news. Plus, stay tuned for a Coffee Talk with ThousandEyes. This week’s Network Break reviews big announcements from Amazon’s Re:Invent, examines the latest security slip-up from a misconfigured AWS S3 storage bucket, looks at the latest numbers on server revenue, and more. Listen to the Network Break as we analyze tech news from AT&T, Microsoft Azure, HPE and more. And then stay tuned for our conversation with A10 Networks on SSL/TLS decryption. On this week’s Network Break, we examine Facebook’s Open/R routing platform, discuss why Qualcomm has rejected Broadcom’s bid, and look at a new private cloud partnership between HPE and Rackspace. On today’s Network Break we analyze Broadcom’s bid for Qualcomm, Level 3’s BGP misconfiguration, a new Mellanox switch & more tech news. On today’s Network Break we dig into VMware’s acquisition of VeloCloud, analyze the latest round in the Qualcomm/Apple spat, drill into Juniper’s new photonics & more. Get your fix of tech news w/ Network Break! We analyze Cisco’s BroadSoft buy & new Google partnership, plus the Gigamon buyout, Kaspersky’s transparency play, quarterly reports and more. Today’s Network Break dives into Cisco’s new predictive services, the KRACK vulnerabilities, HPE’s step back from cloud servers & giant fighting robots. This week’s Network Break analyzes tech news from Cisco, HPE, Dell, and more.